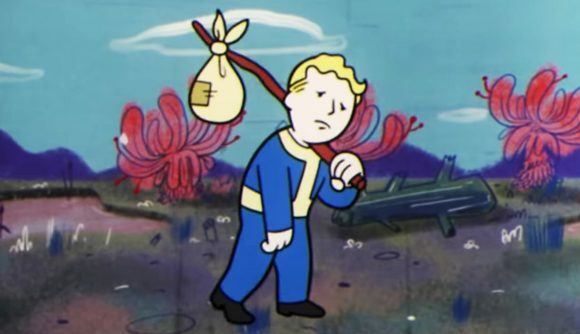 A few months and some very questionable marketing decisions down the line, it would seem that retailers are struggling to shift their leftover copies of Fallout 76. For Gamestop Germany, the issue has apparently got so bad that they’re resorting to almost literally giving the game away. To be clear, that’s a used controller, rather than a brand new one. I couldn’t tell you what those sell for in a German Gamestop, but a quick glance on British Amazon suggests that you can order one to your door for about £35 (€40, $46), meaning you can own a new controller and a game for around half the cost of that same game at launch (which I think it’s worth reminding you was barely three months ago). Our Fallout 76 PC review wasn’t exactly glowing, and the game’s been marred by controversy ever since, thanks in part to bag-gate and what seems like quite a lot of bugs for a game from a major studio. Sales came quickly after launch – although none of them to quite the same extent as this one – to be followed eventually by rumours that the game was going free-to-play. Despite the hefty discount, the deal has been met with cynicism, and several comments under that initial thread suggest that the best strategy is simply to buy the cheap controller and leave the copy of the game in the store on your way out. I’d say that Fallout 76 can’t be that bad, but to be fair I’m not sure I’ve heard anything particularly positive about it.